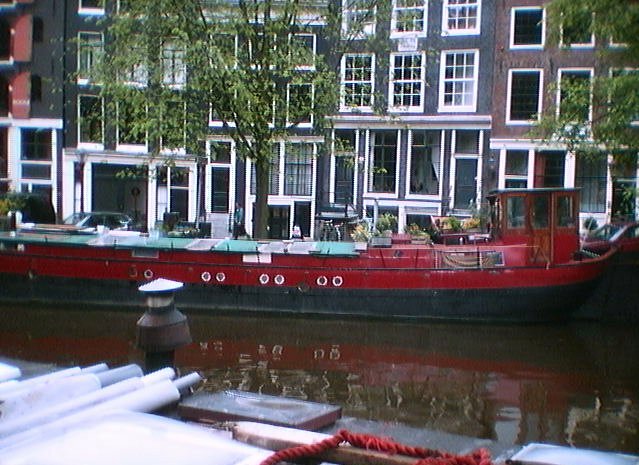 Along all the canals in Amsterdam are houseboats ranging in rusticity and style from rather bohemian (like the one at right) to modern and seemingly lacking in charm. 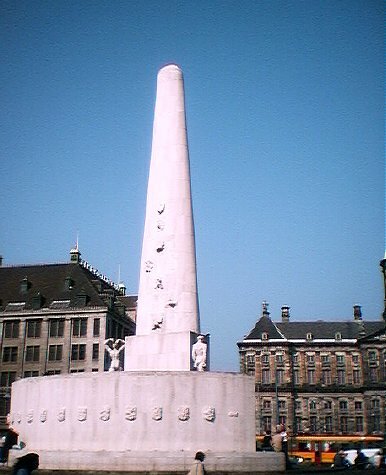 The National Monument in Amsterdam. 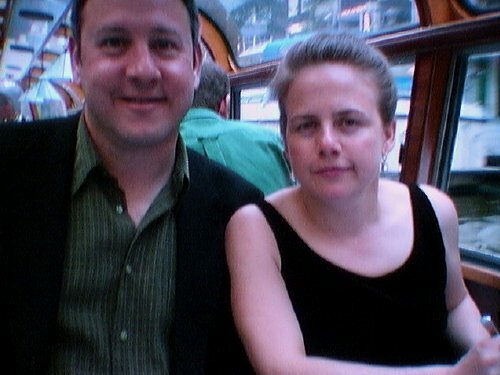 Despite the obvious tourist-oriented nature of this event, we found the dinner cruise on the canals of Amsterdam an excellent way to spend the evening and see the city. We also learned that white wine takes out red wine stains...just ask Rory. 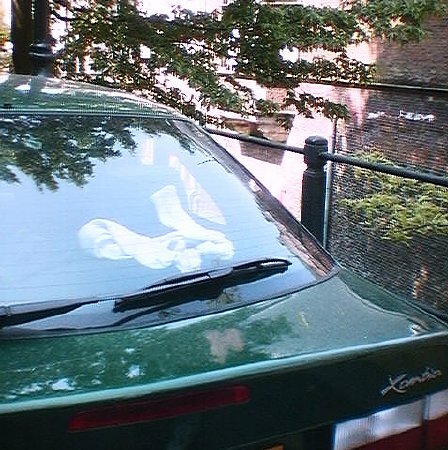 While Susan and I were doing our best to keep reeling Steve back in, Rory was cruising around Holland in our oh-so-green F Citroën, giving the French a bad name, and helping the socks in the back of the mobile blanchisserie's windshield dry thoroughly. We like DeBuyenkorf...or whatever the correct spelling may be. 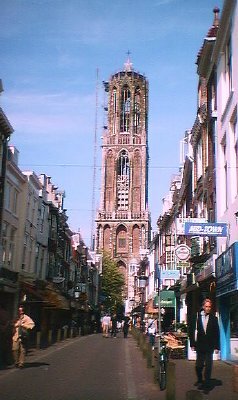 We did manage to spend a little time hanging out in and strolling around Utrecht, even if only as a break city between Amsterdam and Maastricht (well, Lanaken), our next destination. Return to the JOURNAL page. 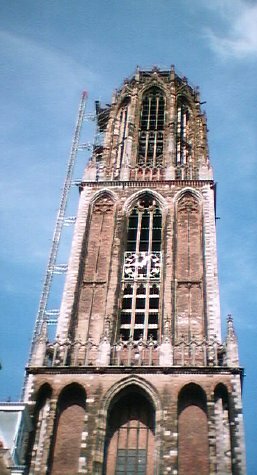 Return to the NETHERLANDS & FLANDERS page.